Investigating the Telluride Community and Lifestyle is almost more important than looking at properties when starting your search for a Telluride home. As your potential broker in Telluride, I would love to assist you not only with your purchase, but I feel that a large part of my responsibility to you involves helping you get to know the Telluride community and our many activities and attractions. If you’re new to Telluride, allow me to introduce you to the broad cultural life, entertainment, and recreational activities available in Telluride, Colorado. I’ll be happy to serve as your guide to all things related to Telluride, as well as your number one resource for finding a property that suits your needs. 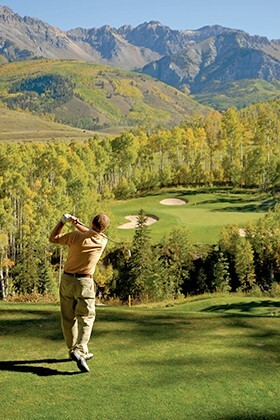 Telluride is not only a world class ski resort, but we offer a wide variety of additional recreational activities, such as horseback riding, mountain biking, fly-fishing, hiking, golf, tennis and more. And besides outdoor pursuits, there are also plenty of opportunities to enjoy fine dining and shopping as well. Further, Telluride boasts a thriving arts community along with an incredible summer festival schedule . As such there are plenty of opportunities to enjoy some high quality music, fine arts, theater, and dance. Some of Telluride’s permanent art organizations include the Ah Haa School for the Arts, the Sheridan Arts Foundation, the Telluride Repertory Theater, and the Telluride Choral Society while the festivals bring in a great variety of famous musicians, scientists, artists, conservationists, and film professionals. In order to better help you, I would like to become familiar with your cultural and recreational interests so that I can help you choose your ideal home or property. I love to teach and will take the time to explain as much about Telluride and the surrounding areas as you wish to know. The more you know about the area, the easier you’ll find the process of determining your purchasing needs. The recreation and entertainment available in Telluride is unmatched. Most likely, you’re already convinced that the area boasts some of the most beautiful sights in the world. Likewise, you probably agree that the skiing here is simply superb. Perhaps best of all, there’s practically no wait for the ski lifts! However, there is so much more recreation to Telluride than skiing and snowboarding. Telluride is an outdoor enthusiasts dream. Golfing, camping, hiking, mountain biking, mountain climbing, fishing, snow shoeing, horseback riding, 4×4, and ice climbing are only some of the many activities to be enjoyed. Telluride is almost as well known for its festivals as its skiing. The community is literally packed with good music, art, and delicious food festivals on the weekends from May to December. There’s even a wine festival in June that serves to bring a little joy to nearly every palette. From the Telluride Mountain Film Festival and the Bluegrass Festival to the Telluride Jazz Festival and Blues and Brews Festival, there’s entertainment enough to make the spring and summer just as memorable as ski season. You can depend on me as your guide to the Telluride Lifestyle and Telluride Real Estate. I can assist you with everything from market values and building prospects to cultural and recreational opportunities. Contact me through my secure online form by phone at 970-729-2278.